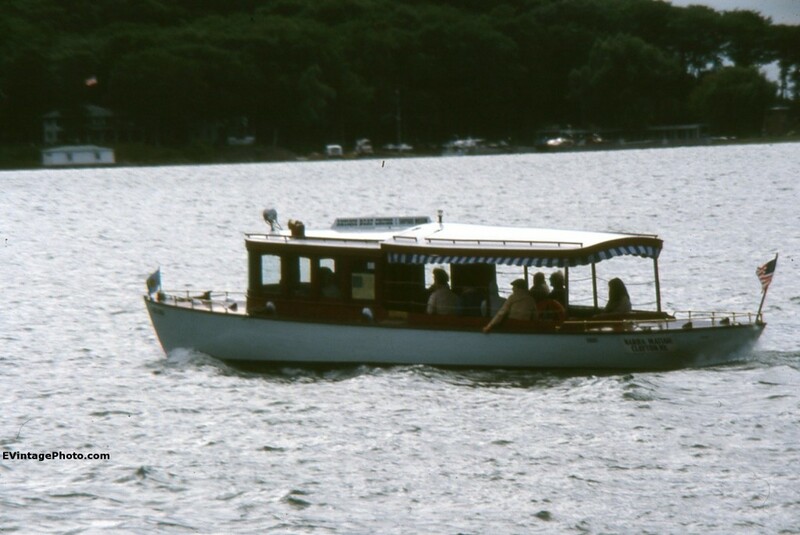 The Antique Wooden Boat Show in Clayton New York started in 1964 and is still going 49 years later. It is held at the Antique Boat Museum in the 1000 Islands area near Clayton New York. The area seems to be known for it’s wooden boats, with several famous manufacturers based there. These gorgeous wooden masterpieces are something the owners continue to be proud of and no doubt take every opportunity to show off. I wish I was able to identify the boats in these pictures better. If you have any idea the names of the boats, or any information I’d love to hear about it in the comments below. 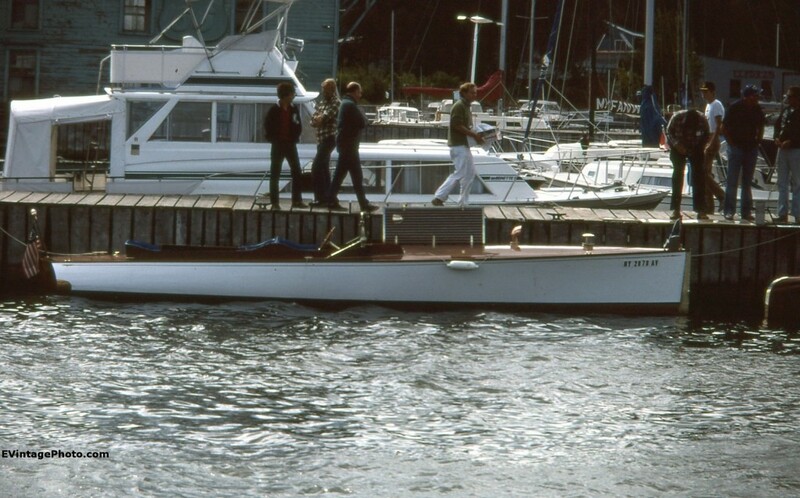 Vintage photo of the 50 foot passenger launch, Narrah Mattah from 1982 at the Antique Wooden Boat Show. It’s apparently a famous enough boat that it’s been mentioned in local newspapers quite a few times. 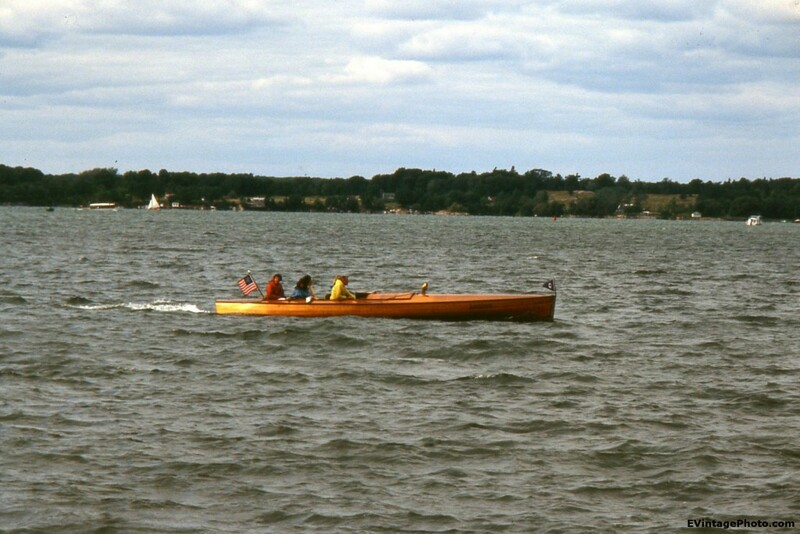 The Ostego Farmer in Cooperstown New York, from August 10, 1956 mentions that it led 40 boats in the Otsego Lake Boat Association Parade. In August 1980, it was mentioned again in the Courier & Freeman of Potsdam, N.Y in a news article about the 16th Annual Antique Boat Show. Lastly, it was mentioned in the February 8th 2001 in the Ocean City Sentinel. According to the article the Narrah Mattah is giving short sightseeing cruises around the lake.